Comments on: "Brian L. Roberts Quotes: We love our business. We have never been more enthusiastic about cable and..."
NBC News will help define Comcast. Today NBC makes certain content available online and I can’t imagine we will change that process. I think cable has been under-appreciated for its contribution to society. The day is coming when, in 45 seconds, you can download a movie. We did some soul-searching. Was the cable industry obsolete? Was it an opportune time to get out? Our conclusion was that if you rebuilt your system with this new fiber-optic coaxial hybrid – which we now call broadband – the glass was half full, not half empty. We could compete. Brian L. Roberts was born in Philadelphia, Pennsylvania. 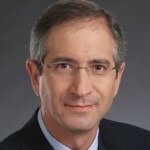 He is chairman and CEO of Comcast Corporation, an American company providing cable, entertainment, and communications products and services. A graduate of Germantown Academy, he earned his B.S. from the Wharton School of the University of Pennsylvania, where he was admitted to the Zeta Psi fraternity. He served as chairman of NCTA from 1995 to 1996, when the landmark deregulatory 1996 Telecommunications Act became law. Roberts is a board member of the Bank of New York. Roberts has won business and industry honors during his tenure. Institutional Investor magazine named him its top vote-getter three years straight in the Cable & Satellite category of their America's Best CEOs annual survey; and also named Comcast as one of America's Most Shareholder-Friendly Companies in 2006. In 2001, he was awarded the USC Shoah Foundation Institute's 2011 Ambassador for Humanity Award.